It seems that Mobile Service Operators threw water over Heavy SMS Users who had hopes of “Tariff Reduction in SMS Pack” after the new regulation announced by TRAI which put a Daily Cap of 100 SMS in a single day. Previously Airtel Kolkata was providing 500 Daily SMS with RCV 80 with validity of 30 days. At now for TRAI’s new regulation there is a cap of maximum 100 SMS/day. But unfortunately there is no reduction in RCV price. Still they are charging same with just 100SMS/day. Even their site claims still they are offering 500sms/day. Even Vodafone remains silent on this issue! MTS India CDMA operator already withdrew its RCV of Rs.64 which provided 500SMS /day previously. 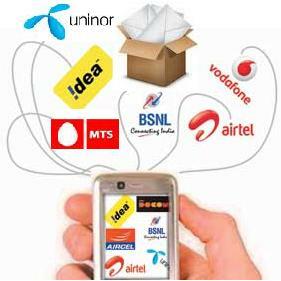 Recently Uninor also launches a Rs.27 sms pack which also offers 100 SMS/day. BSNL is offering 2000 Local SMS at Rs.20. BSNL also introduces 1p/SMS Pack at Rs 111 valid for 1 year. Idea cellular offers 100 Local/Nation SMS daily at Rs.44. The situation is not only true for Kolkata, but also for all circles. Some operators do not reduce the STV price while offering 100 SMS per day instead of 500 SMS per day. No changes have been seen on their websites regarding this.